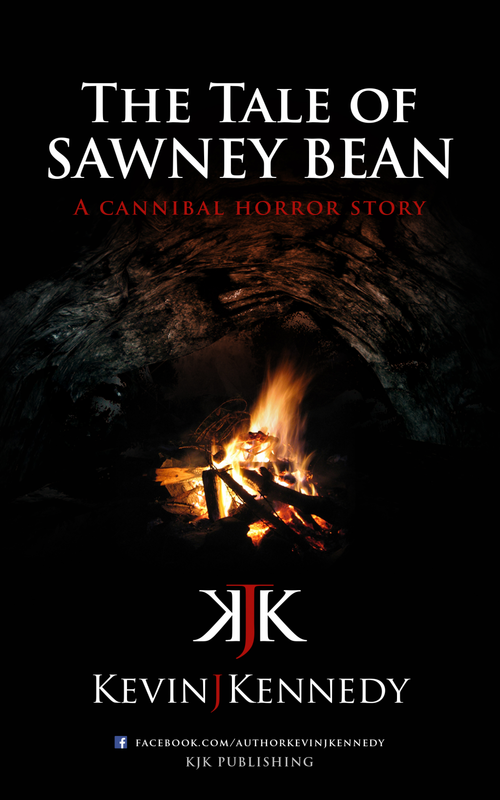 You don’t really have to have a taste for cannibal stories in order to enjoy this one. It might be based on a true story that happened over five hundred years ago in Scotland or it might be an exaggeration by the English towards the then Scottish rebels. Mr Kennedy tells us what he feels might have happened. When Sawney is about twelve years old, he meets Sarah in the woods. She’s a little older than he is. She is so hungry that she is roasting a rat over an open fire. He helps her with the fire and they don’t say much but they share the rat. They feel comfortable with each other and after only two meetings in the woods, Sarah tells him that she has killed her aunt and uncle. The uncle had been abusing her with the help of her aunt. She wants to leave the area and she wants Sawney to come with her. He feels so comfortable with her that he agrees. He knows that since they are still very young that they will not be able to rent a house or find jobs that will pay a living wage so he takes her to a cave at the seashore that he knows about. Sarah doesn’t like to leave the cave, so Sawney goes into various towns to steal what they need to live. Eventually the cave takes on all the aspects of a home, their home. Sawney returns from foraging one day to find a dead man on the beach and Sarah holding a small child while she roasts a cut of meat that Sawney is unfamiliar with. Since Sarah has almost stopped talking Sawney doesn’t know how to broach the subject of what she has done. And will continue to do while Sawney continues to accept and love his family as best he knows. The cannibalism is not even the main or most gripping part of the story. It is about Sawney raising and loving his family far away from town life and what would be considered the norms of society. He doesn’t know which children or grandchildren are his, his sons’ or some mix that he doesn’t delve into. It is enough for him that they all get along, even though none of them have a need to speak and all the children have grown feral. The story is compelling and it’s well told in the first person. But, it’s full of typos, spelling & grammatical errors. For example, Sawney was steeling glances. That would only happen if he worked in a steel mill. She new instead of she knew. And that’s only in the first few pages. It’s really distracting. The book is self published and needs a more discerning eye to edit it. At 89 pages on an ereader, it is a novella and is a quick, easy read. I almost gave this story a 3, because of the typos and bad grammar, but the story itself is engrossing, so I gave it a 4.